NOW Available in 12 COLORS! 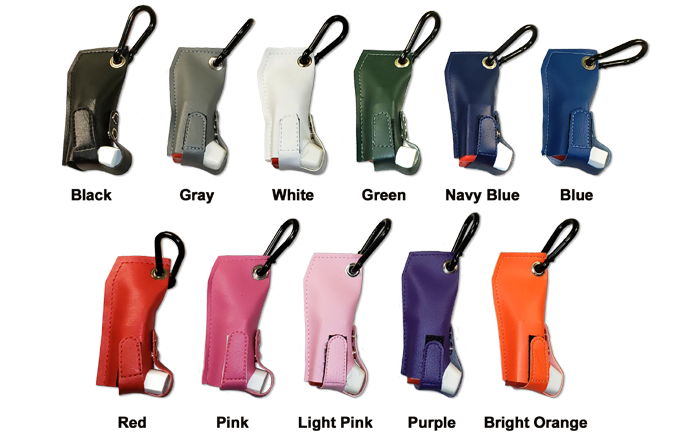 The Forget-Med-Not Inhaler Holster designed to help Asthmatics keep their inhalers with them at all times. When an Asthmatic is feeling good, they tend to leave the house without their inhaler, therefore getting caught away from home with an emergency situation! Since your holster is always attached to your keys, backpack, golf bag etc, it can’t be forgotten! Adjustable strap to accommodate most rescue inhalers! Generous sized, easy to use clip to attach to almost anything! Air chamber completely enclosed – keeps your inhaler dust and dirt free! Strap to hold cap on too! No more lost caps! Medicine bottle in your purse keep opening? The Forget-Med-Not Inhaler Holster will accommodate a small pill bottle. The straps will hold the cap in place while in your purse and will keep it from opening. Need a place to keep your roll of quarters while in the laundry mat? 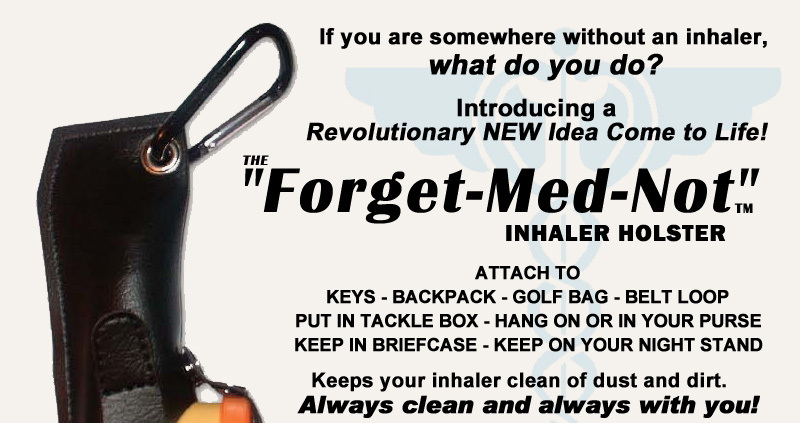 The Forget-Med-Not inhaler Holster will keep that roll of quarters handy and on your side! Keep one in a central area of the house so your family knows where to find it. Keep one on your night stand so you can grab it without the worry of turning on the light. To make sure dust isn’t inside. Teachers – keep them in a key box with the children’s names on them. Warning! Inhaler MUST be removed from the holster for proper use and safety.